Ahoy mateys! Your pirate party will be smooth-sailing with our Pirate Ship Pinata! This pirate theme pinata comes in the shape of a Pirate Ship, ready to fill with up to 2 pounds of candy and party favors (not included). 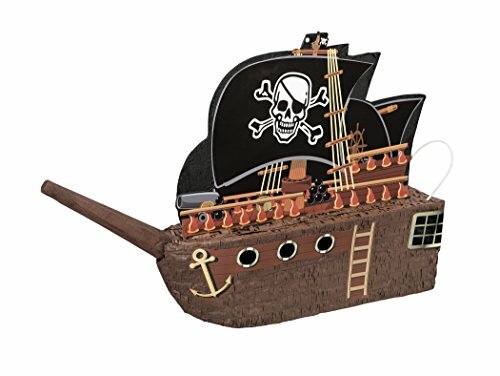 Before your little buccaneers battle it out for the treasure, this Pirate Ship Pinata also serves as a memorable pirate party decoration.